You are here:Home Beer Club Reviews Craft Beer Kings Review: Is Buying Craft Beer Online Worth It? So far I've ordered two full boxes of beers from Craft Beer Kings, so it's pretty obvious I'm happy with what they've got going on. I'll include details of what I got and some other cool features of their website in this review. But they aren't the only game in town, and there are some things they could improve about their website, so be sure to read the whole review to find out if this online beer ordering service is what you're looking for. Quick Opinion: Free shipping and a wide selection of beers makes Craft Beer Kings a winner for me. The thing that I've been doing with Craft Beer Kings is building my own “theme” box. The first time I ordered, I went sour crazy. I'm a huge sour beer fan, and finally having access to things like Mikkeller, Anchorage, and Jolly Pumpkin was incredible. I didn't care the price point – I just wanted all things sour and wild. The next time, winter was closing in, so I decided to go stouts, big Belgians, and barleywines. Malty, thick, and high ABV was may target, and I reached it. I went through most of the stouts and Belgians quickly but I'm saving a couple of Barleywines for next year. Because I picked my own beers, I was of course happy with them! One thing I did notice is that the first time I ordered, there were a lot of sold out beers. This was back in 2014. My second order was late 2015, and there were a lot more selections. Just checking today, in 2016, especially in the sour category, it's obvious that their business is growing and they are able to find more beers and keep more in stock. To be honest, things have gone pretty smoothly, so I haven't had a lot of customer service dealings with Craft Beer Kings. The only incident that came up once was that a beer I ordered was out of stock. I was bummed because it was a really good looking sour from my first order. Craft Beer Kings customer service called me on the phone and told me it was out of stock, and even apologized. The dude really sounded sincere. He obviously was a sour fan. I just asked if they had anything sour or wild in stock of the same size (it was a 750ml bottle), and they did. It was even a few dollars more expensive! They replaced the bottle and shipped on time, no big deal. Other than that, shipping has been fast, all bottles came in tact and as expected, and their website has worked without a hitch. Shopping on Craft Beer Kings is pretty easy, and a little addicting. They've got it so you can actually sort the beers easily to find what you want. 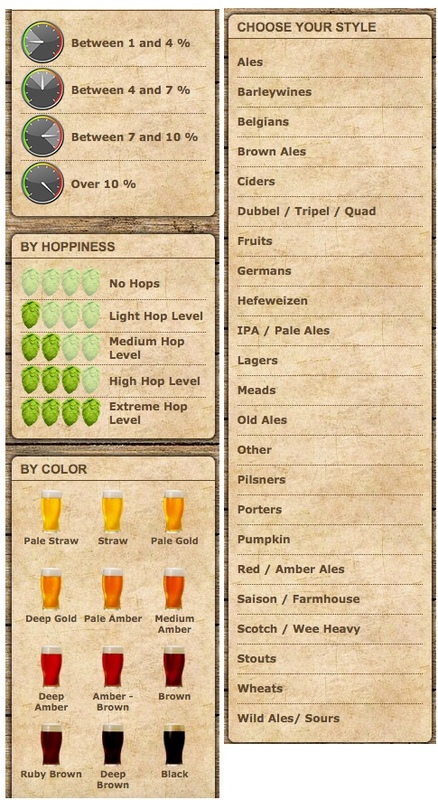 You can sort by style, brewery, ABV, SRM, or hoppiness. They also have other cool stuff like glassware, cigars, and other stuff. If you plan on ordering beer regularly, you can join the membership and of course get discounts and exclusive deals. Another AWESOME thing that I want to try is one of their “mystery boxes”. 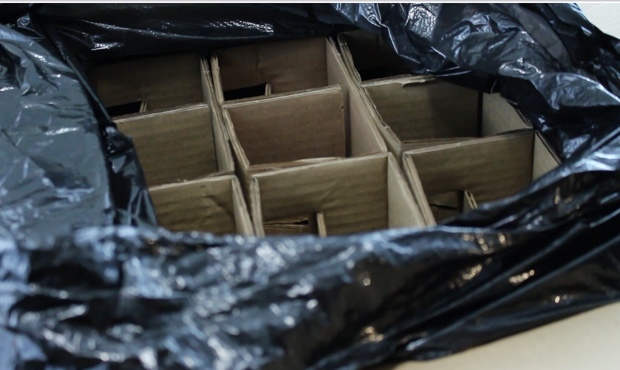 Maybe it's just a gimmick to get rid of beer that no one else wants, but I like the idea of someone organizing a box for me and just surprising me. Sometimes, I really don't know if Beer A or Beer B is going to be good, so who's to say that I'm a better picker than anyone else? That's why I really like beer subscriptions, especially the Rare Beer Club. I guess it's just styles that appeal to me, or maybe these are the styles with the most raving fans: IPA, barrel aged, sours, porters, and stouts. Who is Craft Beer Kings Good For? Craft Beer Kings is great for a number of people. For folks like me, it's great because once a year I can treat myself to a big box shipment of cool beers that I can't get in my area. I get to hand pick them based on my taste, and get free shipping. There's no monthly commitment, and no risk of getting a dud that someone else threw in there. It's also great for someone that doesn't have access to any good bottle shops and wants to order on a regular basis. I could see someone really enjoy being a member and getting access to rare cellar releases, being first-in for new brews in stock, and building their beer knowledge through the internet! For someone that just wants a few interesting beers a month, and doesn't want to order a whole case, but doesn't want to do a big shipment just once in a while, this might not be the best service. If you don't mind shipping costs, then CBK would be as good a choice as anywhere! Would I Order From Them Again? Hell yes! I'll probably continue doing a “once a year” big package from them just to treat myself. The beer selections get really stale here in the Central Valley of California, and I can't always make it to the Bay Area to go beer shopping. Be sure to check out my Tavour Review to see if they might be more your speed. Want To Try Craft Beer Kings? 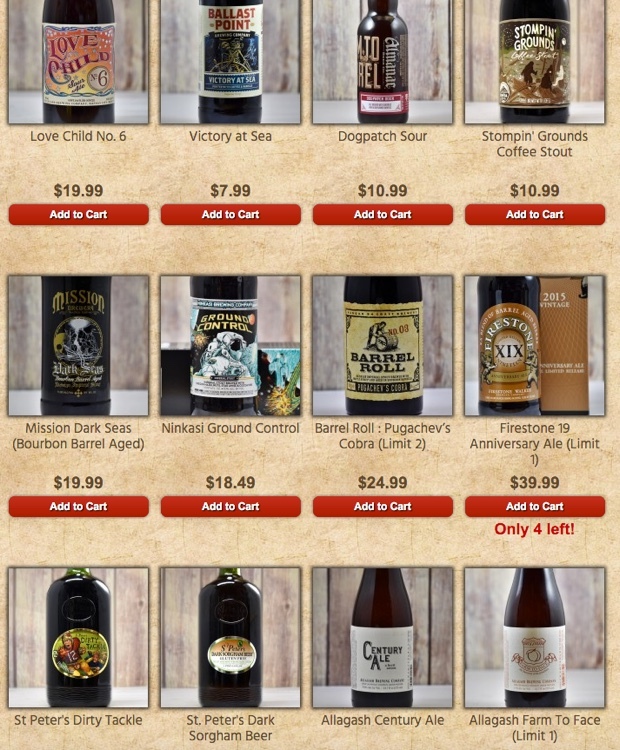 Sign up for a free account and start browsing their current selection of craft beer online! I created this website almost two years ago when I first started homebrewing. Like my brewing, it's been through many changes over the years. I'm a full time online marketer and brewing beer is my hobby. You'll find a mix of all topics related to craft beer and homebrewing at xBREWx! Hello Nate, I was reserching the net this morning and ran into your website somehow, and happen to read this article about your personal experince with craftbeerkings.com I am very happy that you had an overall great experince on the site. I am also gratefull for your honest option on other areas we can improve in. We will strive to improve our customer satisfaction to the highest level, and address focal weak points that we can defently improve on , and come up with solutions. if you every have any beer questions, feel free to contact me directly any time. Always great to hear from company leaders that check up on personal reviews! Thanks for stopping by Mike, and I wish you success with growing and improving Craft Beer Kings.